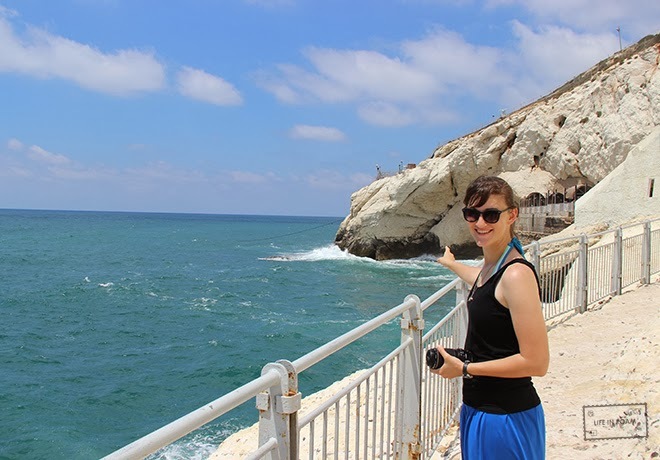 Israel Part 1: Succulent Seafood and Salty Seas. 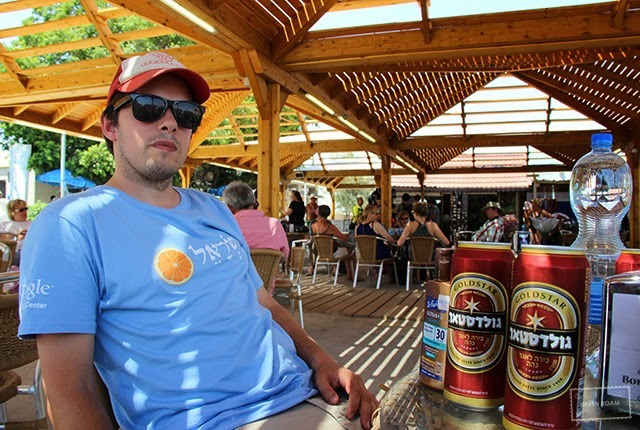 I had never intended to travel to Israel, because the country never appealed to me. I’m not religious, so there was no religious drive. If anything, the religious association of the country repelled me from visiting. The reason I ended up going was that Jeff was traveling there quite often for work and he talked me into it. It required convincing because I was working on my thesis and I didn’t want to take a break from it, let alone to a country I didn’t have an interest in going to in the first place. What I have to say about Israel will not always be politically correct. I am trying to convey my own experiences though, so I’d rather be honest. In part 2, I will cover more of the controversial stuff, but for now I want to give a overview of the entire trip. When I arrived in Isreal, I left customs with a paper visa and no stamp in my passport. The reason is that some countries will not let you in if they see that you have an Israeli stamp (Turkey for instance). I also had several documents explaining why I was visiting, these are not necessary, but I had them just in case someone began aggressively questioning me. Jeff met me at the airport and we took public transport into the city, which was very easy and relatively cheap. The airport was being patrolled by soldiers, with drawn guns. When we left the metro, there was more soldiers, and I saw that in order to enter the metro you had to go through a metal detector and your bag would be searched. We decided to walk to our hotel, and during the walk I saw that this was also the case at some of the larger stores. Soldiers with guns, metal detectors and bag scanners, were all commonplace. We rented a car for this trip and drove around most of the country. This isn’t saying much because Israel is half the size of Switzerland, or a bit smaller than New Jersey. 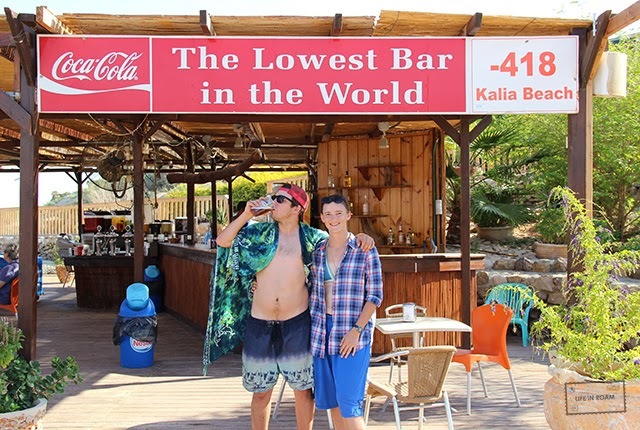 One thing that Israel is known for are it’s beaches, which are very nice. 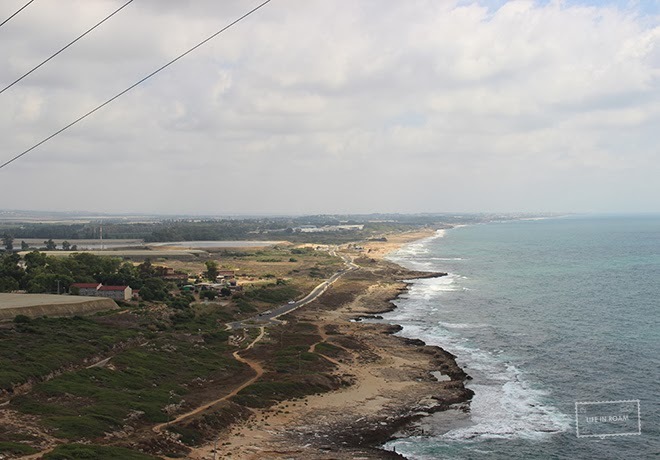 We traveled from Tel Aviv to Haifa to Acre to Rosh HaNikra to Nazareth to the Dead Sea to Jerusalem and back to Tel Aviv. One thing I can say about the country is that the food in amazing. In Tel Aviv we had this sandwich that was made with eggplant called a Sabich, and these desserts that were similar to baklava. The food is similar to Turkish food, but one thing I was very excited about was the pickles. They tasted like American pickles. Three years in Europe and this whole time I was looking for kosher, jewish-style, pickles. The best food we had though was at a restaurant called Uri Buri. It is a seafood restaurant in Acre (also called Akko), that literally made Jeff cry because the food was so good. I do not mean literally as an exaggeration, I mean it as in factual (damn you Webster). We ordered the food in a sort of all-you-can-eat style, but don’t start imagining it as a buffet place with sneeze guards. The plates were brought out by recommendation of the chef, and were smaller portions so we could try a wider variety of food. The sauces were amazing, the fish melted in your mouth, and the concepts were genius. For example, one of the plates was salmon sashimi with a ball of wasabi sorbet. The idea that the wasabi would melt in and around the fish seemed genius to me. 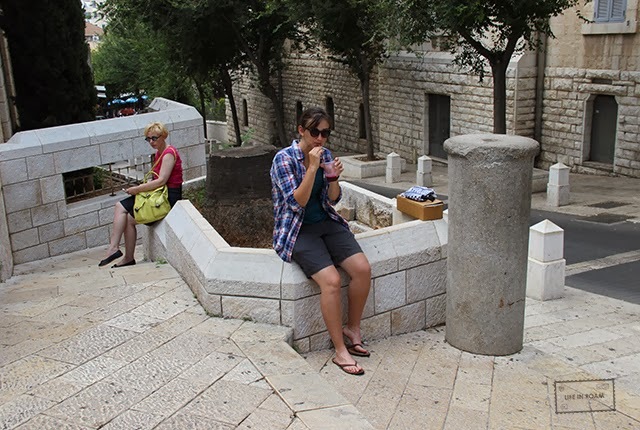 Waiting outside a church in Nazareth, because my clothing offends God. 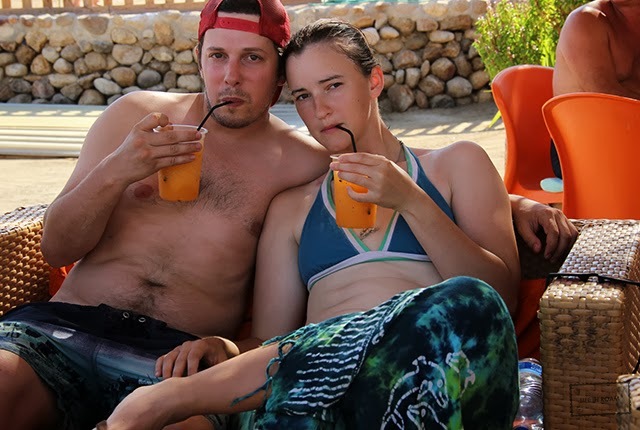 Another part of the trip I can rave about is the Dead Sea. I have never experienced anything like it. I am a god awful swimmer, primarily because I sink like a rock. 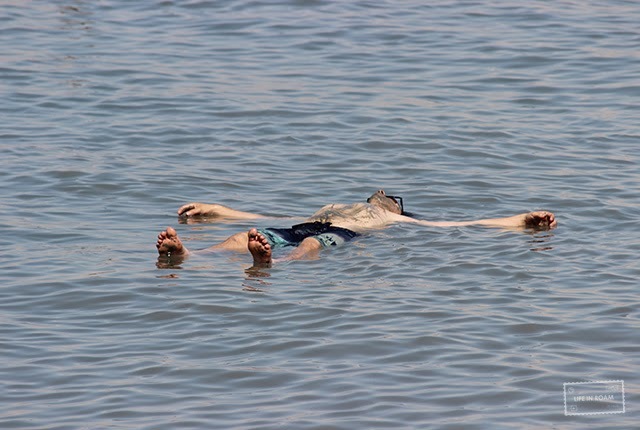 In the Dead Sea though, it is impossible to sink. I have never floated like that before and now I understand what people mean by saying you can rest by floating. The salt content of the Dead Sea is 34%, making it one of the most saline lakes, but not the most. It is also the lowest elevation on earth. I may look pained in this picture, its because I am. The salt is incredibly painful to get in your eyes, and once it gets on your face, it keeps getting in your eyes. My hair was the culprit for getting water on my face. You can’t exactly wipe it out with your hands either. Also, the salt kind of burns in other places. I loved experiencing the floating sensation, but it quickly became much too uncomfortable for me to stay in. 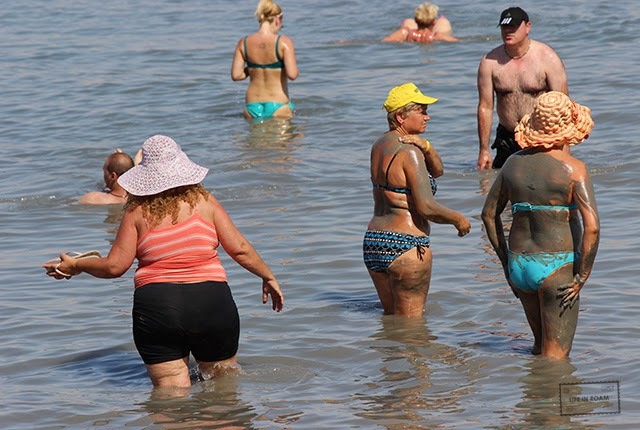 The mud of the Dead Sea is also really nice for your skin, leaving you soft and smooth. When you’re walking through it, its uneven and you can’t see through the water for bumps. The bumps can be normal wave-induced unevenness or it can be a sudden 30 cm drop. These drops are why it is important to swim in marked areas. 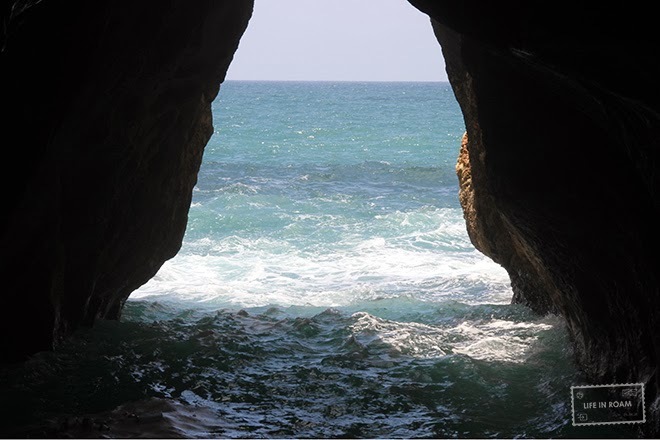 Apparently some parts of the Sea have sort of caverns that you can accidentally fall into. These are also present outside the water on parts of land that once were under the water. One thing that traveller’s should watch out for is that people will absolutely charge you more because you are a foreigner. It is an unfortunate propagation of the stereotype that Jewish will nickel and dime you. This didn’t happen to us at the Dead Sea, because everything was already overpriced for tourist, but in the city of Acre it definitely did. We were buying pomegranate juice and the seller charged us much more than the couple in front of us, who had let us go first so they could haggle with the seller longer. Next post I will talk more about how we experienced the Palestinian situation and also about Jerusalem. I was surprised at how hard it was to find travel information about it, and how little Isreali’s would tell us when we asked. Since the trip I’ve looked some stuff up, but it still feels rather vague to me. It seems like a lot of commotion about a tiny country covered in desert. I didn’t have many negative things to say about the country in this post, but it feels like Jewish people are a culture that I can’t say negative things about. It feels laced with political-correctness-booby traps. I don’t even know if I can say “Jew”, because it may be offensive. Is it offensive?